Idea for cook rice and porridge , make soup/meat, cake/bread or stay cool. 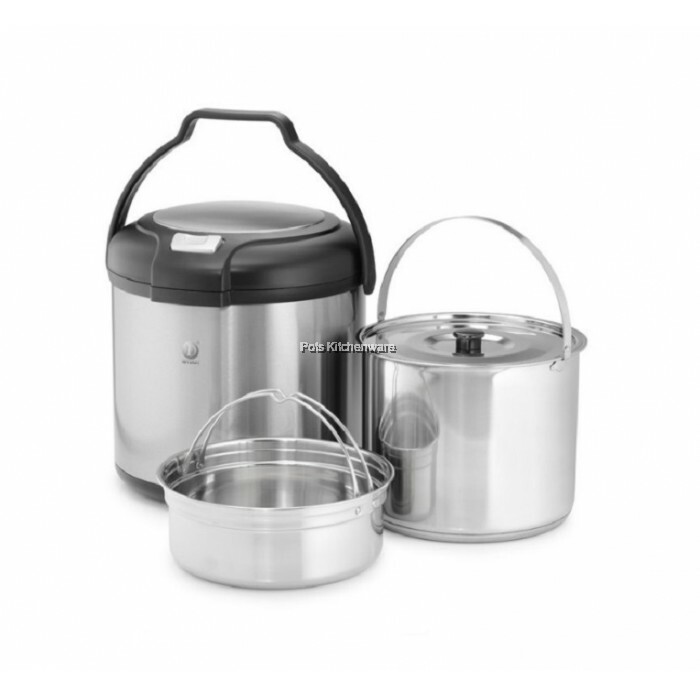 Save your time & efforts : Cook for 10 minutes on the stove & insert the inner pot into the insulated pot. Using the heat accumulated inside the pot, food continues to cook by itself. Unlike traditional stove-top cooking, it does not require further attention or monitoring. There is no need to worry about burning & spills from over boiling. Does not overcook : As it users heat retention to finish the cooking, the food inside can hardly be overcooked. Save energy : Reduce energy usage by up to 80%. Versatile : For families who dine at different times. 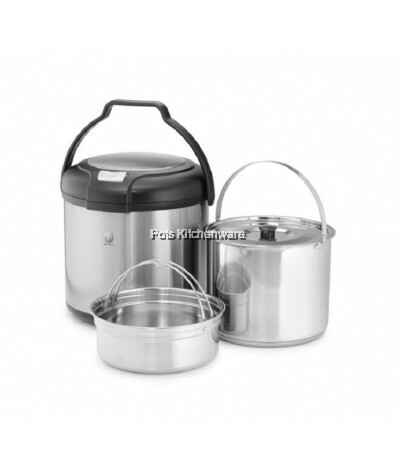 Thermal cooker keep food warm for up to 8 hours at about 60°C. For best results, reheat food for 5 minutes before serving. Perfect cooking : Retain the full flavour & nutries of food. Since there is no evaporation, there is minimal moisture loss.